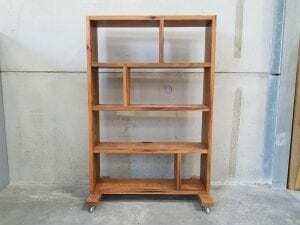 Bring a rustic, industrial edge into your office space with this rustic mobile bookcase. 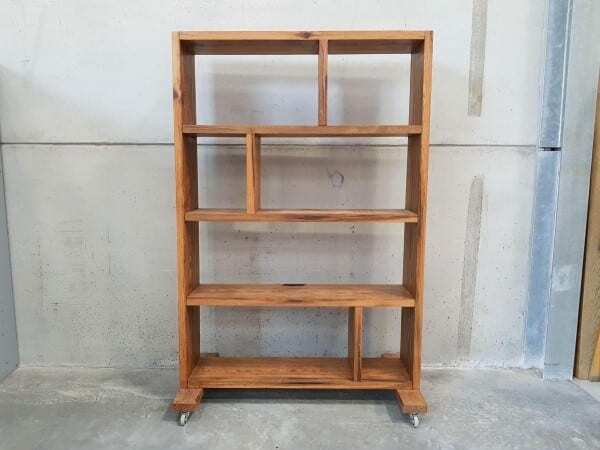 Crafted from sturdy wood, this bookcase comes with four handy shelves with inner compartments and has wheels so that it can be manoeuvred around easily. For more information about this product, please get in touch with our sales team by calling 07944 508282. You can also scroll down to the bottom of the page and click on our Telephone Icon if you are viewing our website using a Mobile Device. Alternatively, we also have a Request a Quote Online Form, so just fill it in and one of our sales team will be in touch. Otherwise, we have an extensive range of other second hand storage units in stock at the moment, so just click on the link provided and have a look!